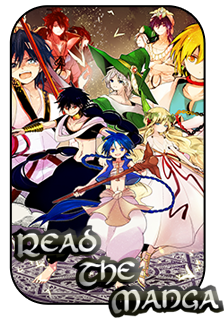 So I have been thinking lately and I was wondering if we could probably introduce some kind of wanted board where we could put posters or something with bounties for villains in the world of Magi. This could be another way for people to earn money and could also possibly encourage people to make more villains possibly, plus I believe it would add some more fun to the world. Also since I know that there are not many PC villains I was thinking maybe we could create some NPC characters just for the wanted board. Possibly it would list some info about them and have a location of where they are. So part of the fun would be trying to track down the bounty like you would in real life. So that is my first, and probably last idea. I personally officially endorse this idea, mainly cause I've been talking with him about it for a little now. XD But um, I think something like this would be incredibly cool and useful, especially for bounty hunter type characters on the site. If anything though, I think a system like this could almost work like a global version of the coliseum if anything. I know that the coliseum is sort of what makes Reim tick, but these bounties could be spread out over multiple countries + be revamped in the same way the coliseum most likely needs revamping. AKA the bounties / coli fighters would disappear off the board entirely once killed by a player. What happens if we run out of coliseum / wanted NPCs? Well, I think that could call for a permanent sort of "npc workshop" like Diana had running up for creating royal NPCs not too long ago. We'd reward our community for basically being in-charge of keeping a steady amount of NPCs for both the wanted board and the coliseum. If the community isn't interested in doing that, we could simply have staff work on a monthly load of generic NPCs for both boards. It's not like these characters need to be the most interesting characters ever made. Just something to keep it fresh and exciting. A system like this would also help out any villains on the site trying to actually EARN recognition. So, it's a win-win in my personal opinion. The main complaint / issue that I could see arise from introducing something like this, would honestly be the fact that it'd be incredibly easy to farm off this kind of stuff, rather than doing actual jobs. I get that sort of complaint, but honestly something like that could be nerfed for both coliseum and wanted board if it came to the point of overshadowing jobs / personal plot. However, it's not like the coliseum has ruined the way people earn EXP on this site, and the site has been up and running for quite a few years now. When it comes down to it, it depends on whether or not that player wants to involve their character in that sort of stuff, no? Anyways, that's just my take on adding something like this. In the end, I think simply adding even a generic wanted board would be a fantastic idea. 10/10 would support this again. The concept is interesting, but how would you go on about hunting these people? Would it be like a single job or would it be a chain where you have to actually track them, find out where they are and how to eventually capture them. It does seem fun to be able hunt down people instead of just plain old fights. It would also allow other ways for players to gain recognition OOC and IC. Hunting them down. As for how though I am still not really sure. Maybe the hunting portion itself is a wordcount on its own? I'm not too sure if that'd fly with other people though, just a suggestion I had at the top of my head. I myself think that the word count is a good idea too. It fits in with what I mentioned a moment ago. Bounty: If a mage is caught or seen in some way doing an act against the law, the magic council will determine if the mage needs a collectible bounty. Collecting a Bounty: You can collect bounties by invading someone's topic in travel, if they're in an open topic going to it before they leave. Once the person has been turned in their are two prisons, one in Era the other in Crocus. The prison and amount of time is determined by the Council and will be posted here. Era- This is the lighter security of the two prisons where the Council will decide how many mages to send to breakout. This would be a hard escape attempt for S ranks, though stealthier methods could prevail. Crocus- This is total lock up where security is at its highest where the worse of the worse go, stealth is very unlikely almost impossible. This would be a hard escape attempt for SS ranks. Fleeing a Bounty: If you manage to escape from a topic the penalty is that the person who initiated collecting your bounty can follow you to your next post. Bounty Board: Any mage can view a bounty board at the guild hall if you are a A rank or above you receive a Bounty Book that self updates. This is how it was on my site. Obviously it wouldn't work here but maybe help generate ideas. Ganbo made this system. Maybe we could just add a new job type? [Wanted] type? Or just make it a regular ol job. I mean, I don't think it would be that hard to make new jobs for bounty hunting stuff. But period, I don't see any reason to make a new entire board. However, I do like the idea of having bounty hunting jobs. Even if their bounties are high, how could you gather enough forces to kill them. It would require raid like qualification for the higher bounties, fully staff controlled, and it might be even tougher if it's a pc. When it's a pc, everything is on the line, and with a casual gaming atmosphere that we have, it might not fit well. Like Rima said earlier parts of it would be similar to the collesium it would just have some more parts to it then just fighting the person. So you could handle a person within your rank like you would in collesium. So it wouldn't necessarily be a raid type deal unless several lower ranks want to take down say an A teir. As for the PCs the having a bounty put up would be optional to the person so you won't be attacked due to this unless you want to. And killing is also optional it all depends on the player. If need be we could have a capture alive status for PCs since a lot of them could be seen as people of interest to authorities and such. And as stated earlier it's just meant to be something to add some more fun to the site without causing too much problems between players. If a player who wants a bounty doesn't want to be killed then o assume they should show the same courtesy to the hunter. My air Gear board had something similar to this but we had it in place. Basically The Jail was treated as a separate Region where people could visit and stuff. Then you had the officers played by Playable characters who would be around as a sort of task force. THe way it worked was if a Wanted criminal was caught, if they were a PC they would have to RP out their time with a certain word count depending on how sever the crime was. The other option was a Jail break. In order to successfully break out one had to escape their Cell, or someone from the outside would have to break in and they would have to escape the grounds. Whenever someone was arrested all of their items and armor and everything was stripped from them and put in the Weaponry. Now I will go in deeper to explain this. Police: There were 4 Seperate Positions in Cerberus(The name of our police Task force in the Air Gear RP) There was the Intelligence Division, Field Operatives, and the Mechanics Sqaud. We'll focus moreso on The Field ops and Intelligence because we had Mechanic's for our A.T's. Cerberus Intelligence Division: Quarie: "Hey there everyone! I'm Quarie, Commander of Cerberus Intelligence and Sound King of the Bass Road, from the long dead but never forgotten sight of Eight Roads. I was named ironically after my creator and revived to Explain to you what Cerberus Intelligence was all about. Cerberus Intelligence was about gathering information about other players and convicting them of crimes. Before we would setup a Bounty on anyone we had to stalk go through the database and archives, find at LEAST 3 criminal actions and anything additional would raise their bounty by $100-$1000 based on severity. The intelligence division would then go to the commander of that division which was basically me at that time and the commander of Intelligence would issue a warrant for their arrest so the field operatives could get to work. That's it for me though! I've gotta head out. The creator's gotta find someone else to explain the field Division. SEE YA!" Matsu: Hey there microcephalic addle-pates! I am Matsu Kiragiri her to explain the Field Operatives! Now I wasn't anything special, I was simply a tuner of one of them but I'm more than qualified to answer your questions. Field Operatives would go out and investigate people, places, and things, then return it to the intelligence division. Otherwise field Operatives were free to do whatever they wanted unless they were ordered to go in an organized group to take someone down. There were a lot of corrupted members though! Some joined Cerberus and let other people escape while others fed information of Cerberus' inner workings to other people. Regardless of what you did you still had freedom. Now how they caught villains was a different story. If the criminal was in an open thread and currently had a bounty, a field operative had the power to invade the thread before it ended at any point to try and Arrest the Criminal. If the Criminal was a PC then they would have to fight it out and the winner of the fight either escaped or was arrested and forced into the Jail Area. This only worked for Open threads but if the Bounty was high enough then they could enter a private thread without permission. Usually when it went over 10,000. If they did break out, their bounty would be reapplied to their heads. ... ? ...Yes Quarie? Oh you forgot something? THEN SPIT IT OUT YOU SLACKER!!!!" Quarie: "Sorry I forgot one more thing. There is more than one way to wipe your debt off of the wanted grid. You could have someone in Intelligence do it. It is also not required that the person is to be caught. You can just R.P. with people like normal. Thanks Matsu!" Matsu: "Shut up you idiot! Anyways back to what I was saying the Debt will be reapplied and capture counts for dead or alive. To join Cerberus however you had to have a clean record and not alot of sever illegal activity. You could still do Illegal things as long as you weren't caught! Anyways that should be it for now. The creator can explain the rest of it." THank you guys you did awesome. As they said the way Cerberus works is very... efficient however we were in a futuristic age with Air Treks and COmputers. We'd have to change a lot of stuff to implement something like this BUT! it is doable. Now the way this worked was that this was an entirely different place altogether. It was a seperate region in the middle of no where. However airgear didn't have travel threads and we had Liquid TIme as well so yeah! High Commander:Was in charge of everyone in Every Division! Commander of Intelligence: Head of the intelligence Division, you had to be powerful in order to have any sort of commander position. Has Exstensive Information skills. Field Operations Commander: Head of the Field Operatives: Has extensive combat experience.you had to be powerful in order to have any sort of commander position. Warden: In charge of the Jail. Beneath all the Commanders but higher up than their subordinates. He has the power to Heighten security or decrease Security around the jail. If Security is heightened expect to be dealing with around High B to low A-tier guards. With decreased Security prepare to deal with about high D- low C tier guards. THey have the final Say! General: The general is in charge of the jail when the warden is gone. He is the backup warden basically and can also designate where to assign guards. He has all the powers of the warden except final Say. Captain: The leader of the officers in their respective ranks. Usually gives assignments to the officers and operatives. Officer: The next level after Operative. They are in charge while the captain is away. Operatives: This is where everyone starts out. The lowest of the low!You can choose your division at this rank. THere is a meeting that th Commanders go to in order to address the current situation with their respective Captains and the Warden with his General. These meetings are secret and held in a undisclosed location but somehow, there is always someone Leaking information. ANyways I've supplied you guys with enough Information! What do you think? ANy questions???!! !